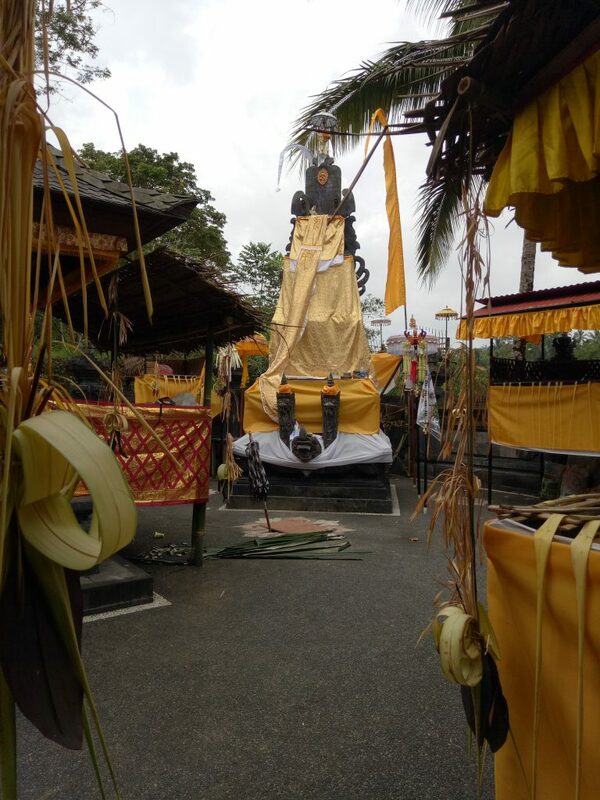 We will be having a Melaspas ceremony this month, which is a house cleansing and purification from the bad spirits. It is one of the most important Balinese Hindu rituals as they believe that the negative energy around the village will remain calm when they are acknowledged and honoured. Our in house guests are welcome to observe and take photos of this ceremony that will be held on Thursday, 5 October 2017. 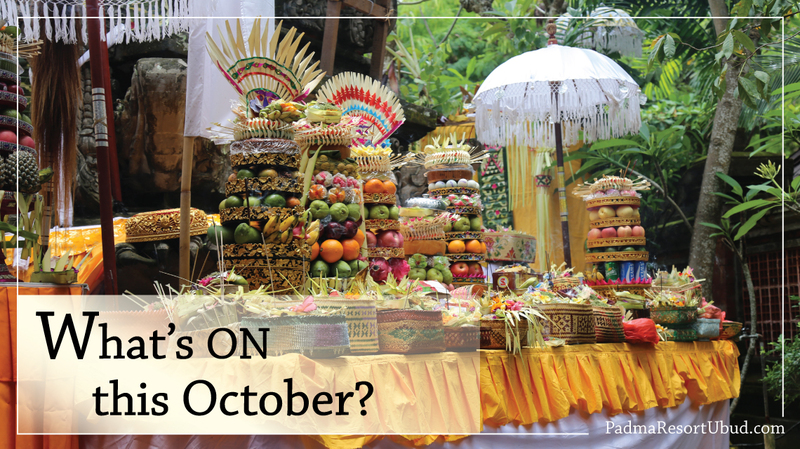 Padma Resort Ubud family is getting ready for this special day. 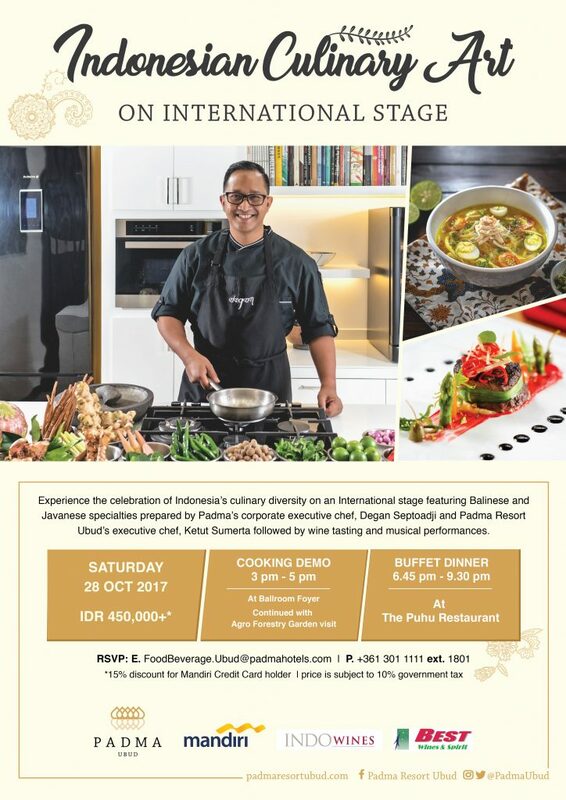 Experience the celebration of Indonesia’s culinary diversity on an International stage featuring Balinese and Javanese specialties prepared by Padma’s corporate executive chef, Degan Septoadji and Padma Resort Ubud’s executive chef, Ketut Sumerta followed by wine tasting and musical performances on Saturday, 28 October 2017 for IDR 450,000+ per person. Balawan fans and jazz enthusiasts! Isn’t this Swing and Jazz evening with Balawan just right up your alley? Experience a dinner like no other, with beautiful view and flamenco to gipsy jazz tunes that will make your soul sing! In the Balinese traditions, we believe that full moons and new moons are special occasions in which the Gods bring blessings through the shines of the lunar lights. Feel the magic of the moon with some buffet dinner and traditional performances by the pool at The Pool Café and Bar. Check out our schedule below and mark your calendar. Outside guests are welcome to join. We welcome non-staying guests for a day trip at Padma Resort Ubud. 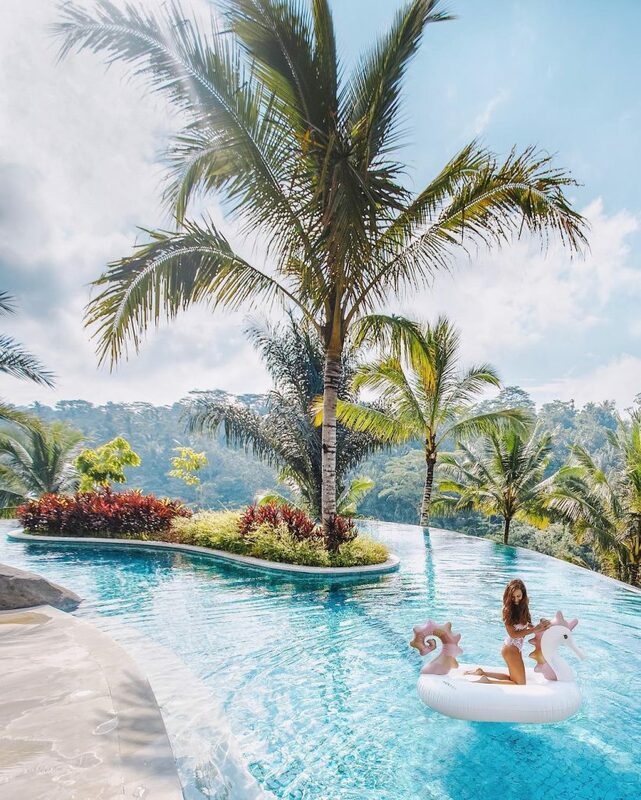 Take a dip in our infinity pool while enjoying the view of lush Ubud jungle, dine with the breeze of the forest, have a relaxing afternoon tea and get access to our jogging track for only IDR 350,000 nett per person! Have you tried our signature lunch menu at The Puhu? 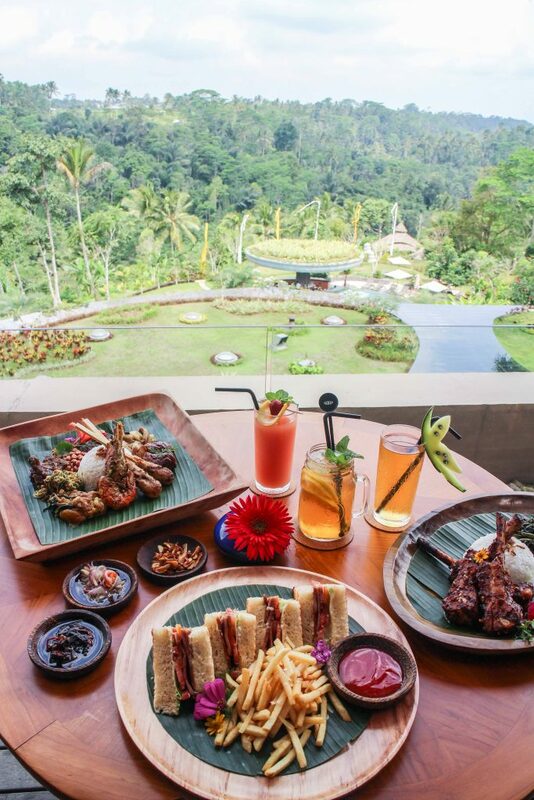 Perfect for the Indonesian food lovers, or those wanting a quick bite before their Ubud adventures! 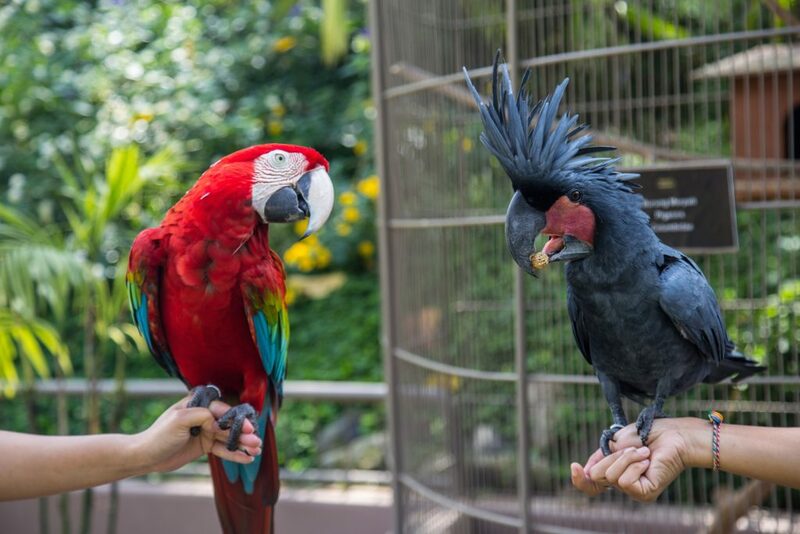 The stars of Bali Bird Park will be back to Padma Resort Ubud on 6 and 20 October 2017 at the Infinity Pool side. Come over and get up close with our animal friends! Happy Hour at the start of the day! The joy of holiday, any time of the day is the perfect time for a spa treatment. 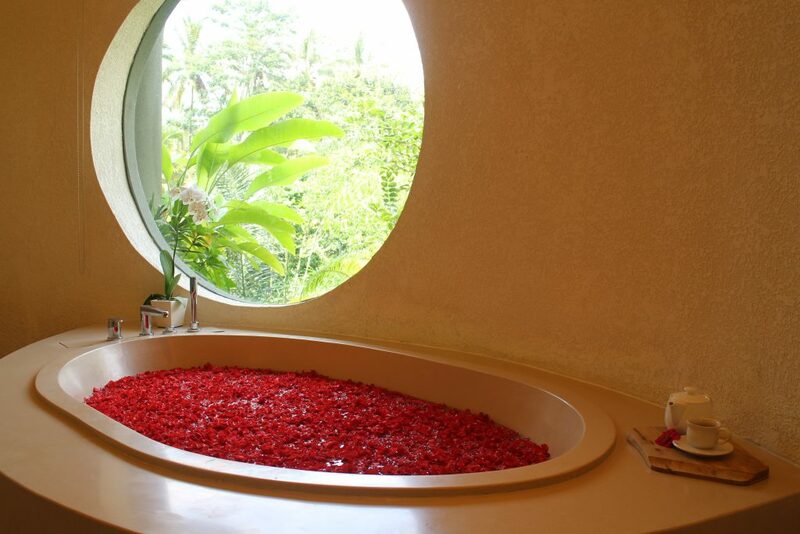 And at Padma Resort Ubud, we spoil ourselves when the day starts! Now, the happiness doesn’t stop here, from 9am until 11am everyday, you get to enjoy 15 % off on selected treatments. Happiness is happening..